Former Hearts of Oak management member, Abdul Aziz Haruna Futa has presented food items to the national chief Imam, Dr Osman Nuhu Sharabutu and has reiterated the commitment of the Akufo-Addo administration to the development of sports. The National Nasara Coordinator of the New Patriotic Party (NPP), stressed that the construction of astro-turfs in all 275 constituencies in the country and the regional youth resource centres, is an indication of the government’s commitment to sports development. “You know the President wants to develop every aspect of the country and sports, is one of them. The one constituency, one astro turf and the one region, one youth resource centre initiative shows the president’s dedication to sports. Few days ago, Aziz Futa led an entourage of Nasara founders and members to pay a courtesy call on the National Chief Imam, Sheikh Dr Osmanu Nuhu Sharubutu at his Fadaman residence in Accra. Aziz Futah eulogized the Chief Imam and explained that the visit is a proof of the NPP’s recognition of the role the Zongo’s played in the success of the party over the years. 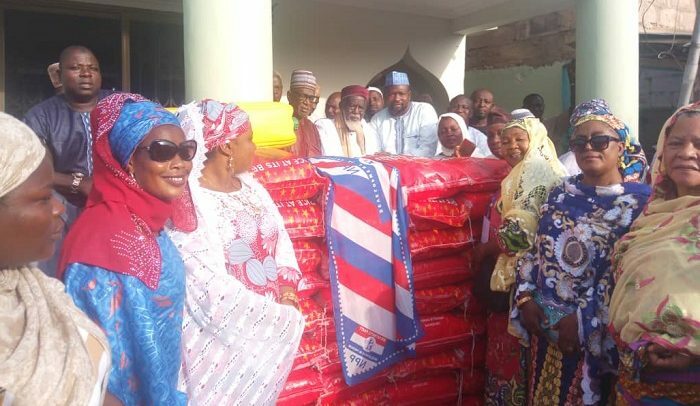 The Nasara chief on behalf of the national executives of the NPP donated 50 bags of rice, 75 kilos of cooking oil and a bull to the highly revered Muslim leader. Aziz said “He is a very special person. He is the National Chief Imam of the Republic of Ghana so I was sent by the National Executives to present these items to him because he is celebrating the birthday of our Prophet Mohammed.